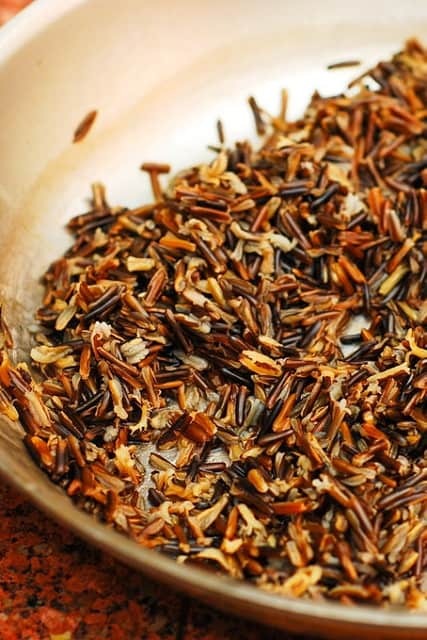 Basic recipe for how to cook wild rice. 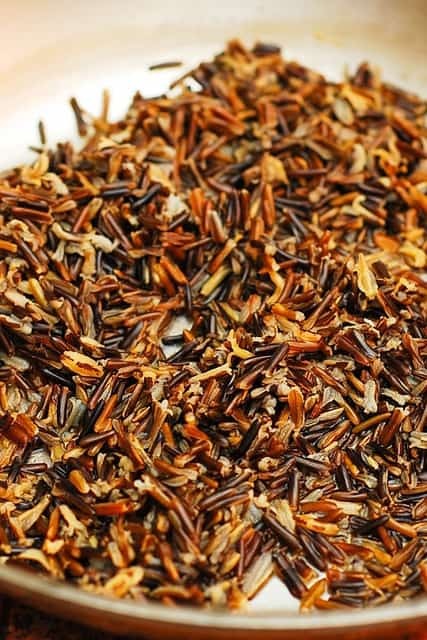 Cooked wild rice is a great ingredient to use in many delicious recipes. I’ve been cooking wild rice quite often lately, and I really enjoy mixing it up with all kinds of dry fruit, vegetables, spices, sauces. It’s a really versatile and delicious whole grain with quite an impressive nutritional record. First of all, wild rice is gluten free which is great for a gluten free lifestyle. It is also rich in dietary fiber and low in fat. According to Wikipedia, when comparing wild rice to quinoa and oats in terms of a protein content, wild rice takes a proud second place (after oats) in protein content per 100 calories, while quinoa is the third. Thanks to all that protein and fiber, eating wild rice is much healthier than other kinds of carbohydrates, plus it will keep you feeling full longer taming that appetite, again thanks to all that protein and fiber. Finally, wild rice is a great source of certain minerals and B vitamins. 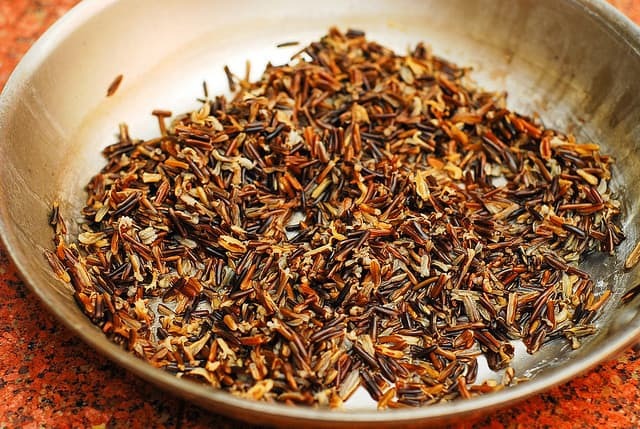 Wild rice is truly a great ingredient/resource to have in your pantry, and below are the simple instructions on how to cook it. Creamy Chicken and Wild Rice Skillet – easy comfort food, one of my favorite dinners. Creamy Chicken Pot Pie Wild Rice with carrots and peas made in a skillet. Cooking wild rice is easy! It's healthy, nutritious and gluten free. Here is how to cook it properly. Rinse the rice in a strainer to clean. In a medium sauce pan, combine 1 cup of wild rice and 4 cups of water (1 to 4 proportion) and bring to boil on high heat. Reduce heat to medium or low and simmer/cook the rice for 30-45 minutes, depending on the type of wild rice you have. Cook until the rice is soft but not mushy and until most of the grain are popped. You don't want the rice to be tough and chewy, so be patient and cook just until it's of the right softness. Once the rice is cooked to the desired softness, drain extra water from the pan. Once cooked, season rice with salt, if desired. I was trying for a looser rice consistency to add to a salad. Followed these directions and it came out mushy and clumped together closer to a risotto. Decrease water for use in salads would be my recommendation. Do not open lid at any time. I cook wild rice differently. Turn heat off for 1 (one) hour. Do not remove lid any time. Perfect fluffy, curly, soft but not mushy rice. !